18 11 2012 - Based on this month’s election, the idea legalizing marijuana seems more popular than ever. Two states, Washington and Colorado, have legalized pot at the state level. With the legal marijuana market looking stronger than ever, there are companies looking to build around big-marijuana when commodity reaches critical mass. 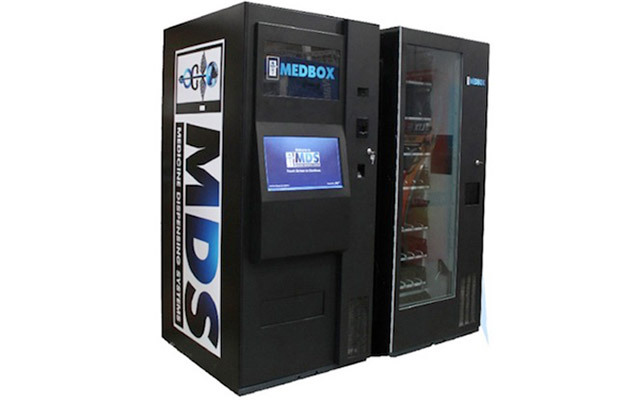 For now, most of those companies are waiting in the wings, but not medical supply distribution producer MedBox, which has been thrust into the spotlight. The company, which makes vending machines for hospitals, pharmacies, and “alternative medicine clinics,” has seen its stock price rise by 3,000 percent since the 2012 election. You’d think MedBox executives would be ecstatic, but in reality, the company is terrified of what will happen now that it’s suddenly become so popular on Wall Street. The company’s overnight success was based on the fact that it’s are poised to swoop in and fill the needs of pharmacy, smoke shop, and gas station that may want to start selling legal marijuana. The problem is that such a demand doesn’t actually exist yet. Until the federal government legalizes pot, states where it’s legal still won’t be able to sell it outside of medical dispensaries. Meanwhile the spotlight is on MedBox, and investors may expect it to grow and succeed right away, even though its epic popularity is based on the popular hunch that it’s only a matter of time before the company’s products will be needed. Rather than throwing the biggest party it could muster over the news, MedBox CEO Dr. Bruce Bedrick issued a statement warning caution to the company’s new investors. According to Bedrick, the company’s stock should be worth between $5 and $10 per share, and anything more is just a temporary inflation. To put things in perspective, MedBox stock was trading at $4 per share on Monday, and was trading for $215 by the end of trading on Friday. In the end, Dr. Bedrick was absolutely right. The company has since shed most of its extra weight, dropping to an even $20 per share as of the market’s close on Friday afternoon, according to Bloomberg. If the stock price holds here, that’s still an impressive step up for a company that’s still waiting for its time to shine.